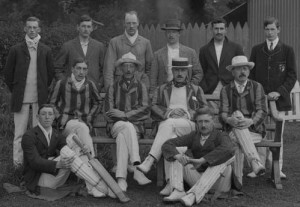 The club was founded in 1874 but cricket was first played on the Mardyke in 1850. During the next 40 years which preceded the outbreak of the First World War the club gradually prospered. 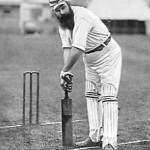 In 1903 the most famous cricketer of the Victorian era, W.G. 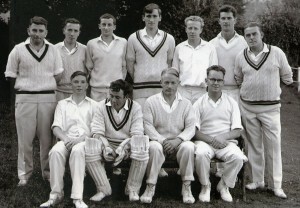 Grace, played at the Mardyke for London County against Gentlemen of Ireland. During the years in the run up to the First World War the club played regularly against some of the famous English Touring Teams. The War changed everything. Touring teams did not come but there was plenty of cricketing activity as there were large numbers of naval and military personnel based in the area. In 1922 when Ireland became Independent the military departed and the club became more dependent on local leagues, annual inter-provincials against Leinster and visits from teams such as Trinity College and Na Shulers (an Irish Touring Club). The Cork District League was founded during the 1920’s but Cork County participated only for a limited period and the league was made up of the ‘tenant’ clubs such as Bohemians, Constitution, Church of Ireland and Wanderers. 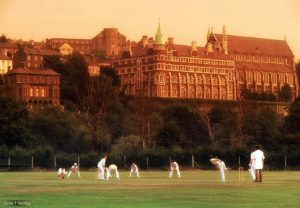 The Second World War enforced a virtually closed cricket society. The only regular fixture involving a team from outside cork was the annual inter-provincial between Munster and Leinster but cricket survived. The league continued and there were also mid-week junior fixtures. Any gaps at weekends were filled by Cork County playing one of the tenant clubs and the County side would have comprised a selection from the other local clubs. Usually cricket matches were well attended as lack of transport prevented people from traveling any great distance and the Mardyke, as always, was an attractive location on a summer’s day. The post war years brought about a return of visiting teams. Regulars were Royal Engineers, Peterhouse College (Cambridge) and Leprechauns. 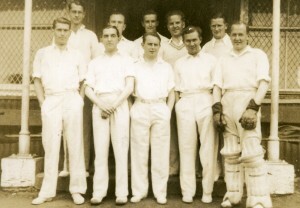 An English Counties side made up of County cricketers visited the Mardyke on three occasions in the immediate Post War years. In the late 1960’s Glamorgan brought their full team on two occasions and Warwickshire also came in 1969. In 1987 the remaining tenant clubs, Bohemians and Wanderers dissolved themselves into becoming Cork County. The club then became involved in competitive cricket and participated in the Munster League and Irish Senior Cup. A considerable degree of success in the league followed but results in the latter competition were disappointing. Over the years, in addition to W.G.Grace, many famous test cricketers have played at the Mardyke, e.g. Jaher Abbas, Tom Graveney, Gilbert Parkhouse, Peter Such, Nick Knight, Nassar Hussan and the greatest English batsman of the 1990’s Graham Gooch. But the Golden Age of Cricket in Cork County was without doubt, in the 70’s and 80’s. Quality clubs from England, Scotland, Northern Ireland, Leinster and further a field were regular visitors to the Mardyke. As against that there are now more youngsters playing within the club than ever in the history of Cork County. The future must now be for the club to merge the quality of the 70’s and 80’s with the undoubted ability of the youngsters coming through. Finally local players should not be overlooked in this short account. Noel Giltinan, Dermot Giltinan, Brian O’Donnell, Paddy Tynan, Kenneth Sorensen and Andrew Chambers were all notable members of Cork County that represented Munster. Robert Duggan, Michael John Wycherley, Jonathan Curtain and Vincent Fennell all represented the Irish Universities with Duggan captaining the side during the 2005 BUSA Championship. Peter Coleman, Peter Dineen, Derek Ryan, Mark Barriscale, Stephen Hickey, Niall Tynan, Ross Durity and Keith Banks all played at Irish youth and Development level. Jim Kiernan, Pat Dineen and Jack Short were all capped at International level and in more recent times John Power and Ted Williamson, who are all Cork men. In 2009 Cork County was given permission by the Leinster Cricket Union to compete in Leinster League Division 2 for the 2010 season. The decision to apply to play in the LCU competition arouse following the disbandment of the ‘Munster Reds’ franchise in 2008. 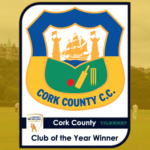 Cork County were eager to provide their players and, in particular, their younger players with highly competitive cricket and provide them with increased exposure to potential representative honours. Cork County finished 6th in the their first season in the Division thus consolidated their position in the league for the 2011 season. The Club also completed the Munster Senior League and Cup double which capped off a very memorable 2010 season. In 2016, Cork County were awarded the prestigious Tildenet Club of the Year Award after a superb season for the Munster club during which in addition to winning the Leinster Division 2 title, they also retained the Munster Premier Division title.